Economists insist that recovery is at hand, yet unemployment remains high, real estate values continue to drop, and governments stagger under record deficits. The End of Growth proposes a startling diagnosis: humanity has reached a fundamental turning point in its economic history. The expansionary trajectory of industrial civilization is colliding with non-negotiable, natural limits. • Crushing levels of debt. These converging limits will force us to re-evaluate cherished economic theories, and to reinvent money and commerce. 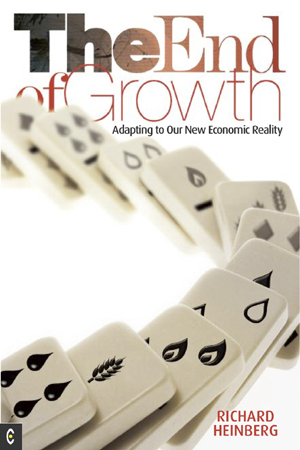 The End of Growth describes what policy makers, communities and families can do to build a new economy that operates within Earth's budget of energy and resources. We can thrive during the transition if we set goals that promote human and environmental well-being, rather than continuing to pursue the now-unattainable prize of ever-expanding Gross Domestic Product.